Forget Winter, isn’t it Time to Reserve Your Spring Getaway?!! 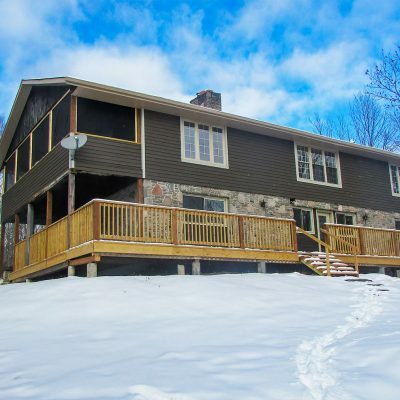 The resort is situated on the shores of Lake of Bays in the heart of Muskoka, an area renowned in Spring for its pristine lakes, spectacular beauty, clean air, and abundance of wildlife. Have you ever seen a Moose in real life? It’s something you won’t soon forget! The ice on the lake disappears by late April, and the moose come out to sample the water by the side of the highway, making spring the best time to see moose in Algonquin Park. Book your cottage now to give yourself the best chance of seeing this magical creature, and don’t forget your camera! By the third weekend in May, the leaves are back on the trees and most of our summer activities are available for you to enjoy. Spring wildflowers start to bloom by early May making this the best time to view wildflowers and wildlife. And it’s the only time of the year that you will experience the tapping and boiling of maple syrup – something every Canadian should see at least once! Lake trout are best caught during early Spring when the ice first disappears from the lake. These fish are hungry and at the surface of the water ready to grab at anything that moves. They’ll put up a real good fight. Are you ready?!! Our guests enjoy the benefits of having cottage accommodation. Families will appreciate the convenience of separate bedrooms. 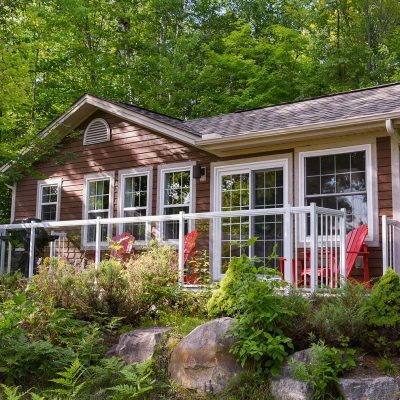 Couples will enjoy the privacy of their own cottage. There is much to do and see at Blue Water Acres. There are more recreation facilities at the resort than most other resorts. To avoid disappointment, it’s a good idea to book your vacation as early as possible. Our rates are very competitive! 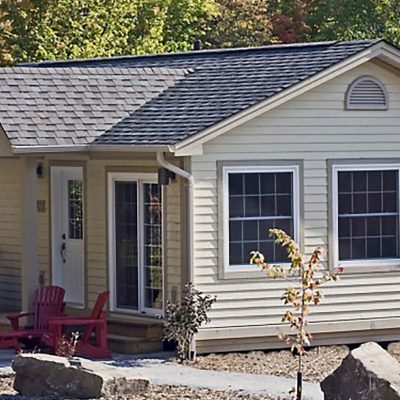 We have cottages for every budget and group size. 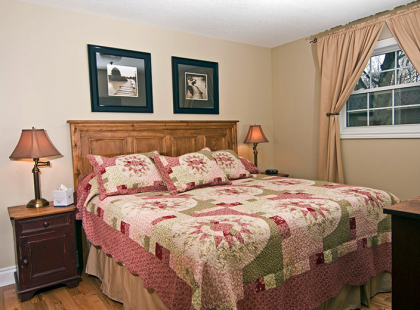 Our Traditional Cottages have everything you or your family needs and are the perfect launch pad to explore Muskoka. Or try our luxury cottage models and pamper yourself. Don’t feel like exploring today? There’s lots to do right here on resort. And it’s easy to limit the kids screen time when you have so many physical activities to choose from! After an active day outdoors, you will probably want to relax during the evening hours. Here are some of the things you may wish to do at night. You may have to be an early riser. If you walk along roads leading to the resort, you may see deer, moose, fox, bear, mink, martens, otter, beaver, squirrels, skunks, porcupines, raccoons, chipmunks, wolves, and many different species of birds. Wild animals generally avoid humans. However, they will cross your path from time to time while you’re driving or walking. Guests who are early risers have seen them in the morning walking across the beach and open spaces while others are still asleep. They’ll run as soon as they spot you. However, sometimes you’ll be lucky enough to capture them with your camera. Guests love our waterfront. We have a sandy beach with a very gentle slope into the water. Markers readily identify the shallow water area. Beyond the markers is a swimming raft. There is boat docking at the beach. Water is blue, clear and clean. There’s also a water slide and a water volleyball court. Lake of Bays is a deep, clear lake. 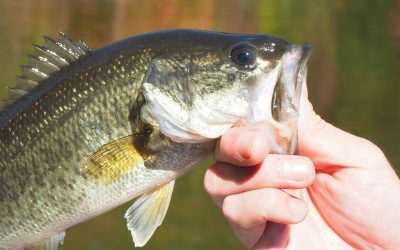 Here you can fish for lake trout, rainbow trout, small mouth bass and white fish. Fishing licenses can be purchased at Canadian Tire in Huntsville. 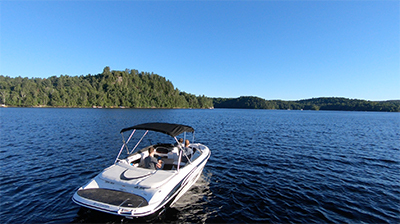 Motor boats are available for rent from South Portage Marina, located a short distance from the resort. Non-motorized boats including canoes, paddleboats, and kayaks are available at no cost. Don’t forget to bring your “Pleasurecraft Operator Card”! Whether you need supplies, or just want to go exploring, Muskoka is dotted with small towns that are great for shopping, dining and more. Take home a piece of Muskoka at one of the great interior decorating shops, visit a brewery or grab lunch or dinner with the family. DWIGHT - A quaint slice of Muskoka! One of the country’s premier parks, Algonquin Provincial Park is on our doorstep. Bring your snowshoes because the trails are as gorgeous in the winter as they are in the summer. Visitors from all over the world make the trek to see this jewel of our province. Arrowhead Park is also a short drive away, offering activities and trails for all seasons. Once the snow flies they have excellent cross-country skiing and a unique skating trail that you can even skate on at night! Definitely a must-have Muskoka experience. Horseback Riding is available at Stoneleigh Farms at Deerhurst Resort 1-800-461-4393 or Back of Beyond Equine Centre 705-789-1605. Take your pick of some of the best courses in Ontario, nestled in beautiful cottage country. Want to make your vacation at Blue Water Acres a permanent? 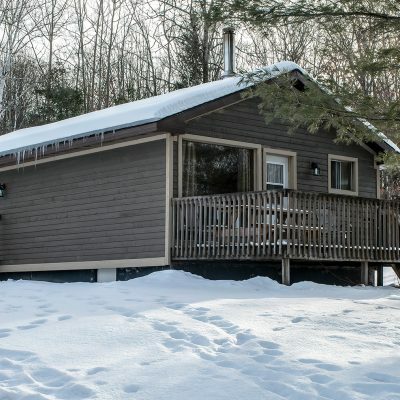 Fractional Ownership makes it affordable to buy a Cottage in Muskoka. This isn’t time-share! 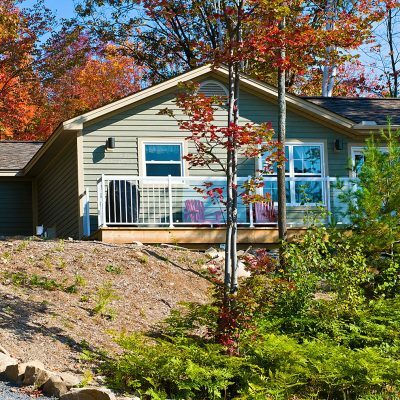 You can buy shares in one of our four luxury cottage models, sharing the costs of ownership with other cottagers. It’s a purchase that may appreciate with time, can be rented for income and you own it until you sell or pass it down to your children. 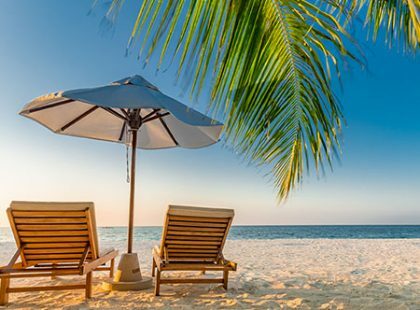 Blue Water Acres Fractional Owners are members of Interval International, a vacation club with access to over 1500 destinations in over 100 countries. Members can swap weeks to stay at high-end resorts that would normally cost hundreds of dollars a night!